Adventure Town, a very nice Android game. 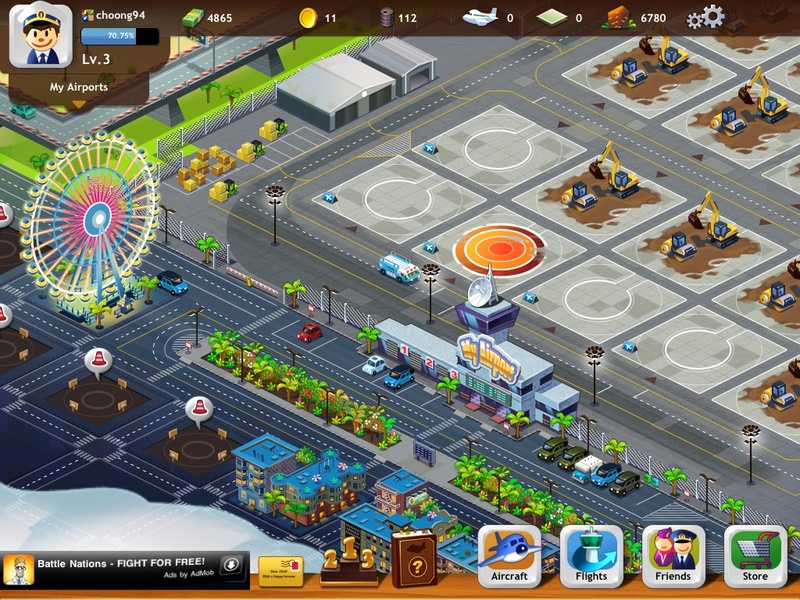 The game play is similar to most mobile games and online games such as Pixel Tower. The objective is to build up your region, optimise the land usage, earn money, upgrade, wisely use the resource, etc. To simplify, grow everything! However, there is a great strength comparing to other mobile games and online games. NO internet connection required to play the game. Most of the mobile games required internet connection for user account login or update the game through internet. Without internet connection, you are forced to exit. That means, there is no chance to play the game without internet. However, Adventure Town is totally different. In the game, the greatest challenge is the time. This is because we need to wait for example 2 minutes, 1 hour, 12 hours etc to earn the money. Yet the hero’s equipments are expensive. Almost everything is expensive. 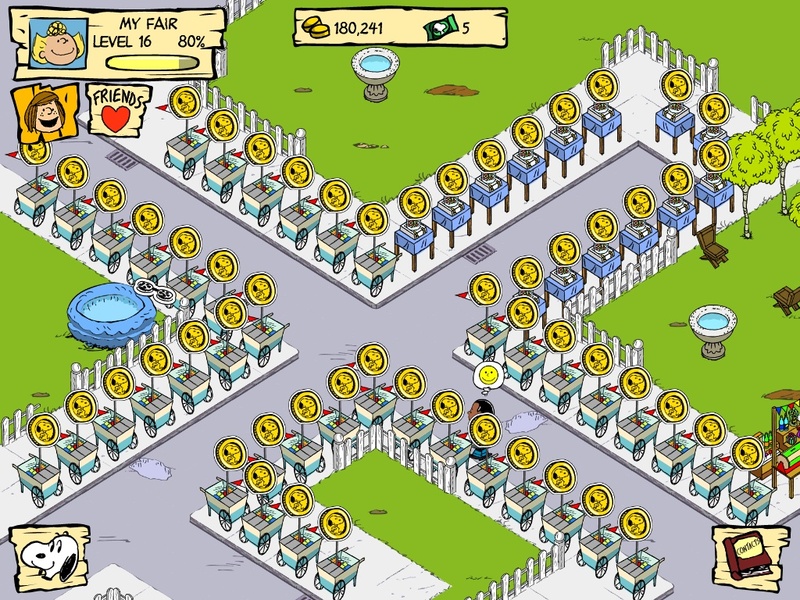 You must manually retrieve the money, then only the money is stored into your “bank”. Then we need to “stock” the crops into the shops for the next earning. It doesn’t work automatically. It doesn’t mean, you will earn a lot of money after several days without touching it. However, since the game can be played without internet connection, there are some cheats can be done (you can search it online). Yet those cheats still need patience in order to work. Hopefully the developer will not fix it. If so, I will consider to uninstall it. Most of the Android games from Com2uS and and GAMEVIL are my favourite. Because of the gameplay style and the Japanese RPG-like graphics. Third Blade. Very nice slash game. Not like Demon Hunter, no need to jump here and there, just slash. No need to manage the items, because dropped items are just coins and runes. The shops are easy, buy only. Though the story is extremely short, the gameplay is very good. This is because collecting the coins is the main way to make the main character become stronger. The character experience is quite disappointed, because the highest level is 30. However, to get the rune is not that difficult, unlike some of the games, need to buy it with real cash, or limited runes through out the whole game. The runes will drop from any monster. Sharing a small tip about the how I played. There are 3 blades available. The best blade is the one-hand sword. It is fast and attack point is also high. Besides that, there are two powerful skills must use: Counter and Bloody Shock. Counter can protect you from an attack with counter attack. Bloody Shock allows you to drain some HP from the enemies. Then the third skill which can be register to the hotkey is either Shadow Shift or Blade Wave. Shadow Shift allows you to escape far away from the boss. But less useful when you want to kill the boss. So, Blade Wave is better for long distance attack. The game will be difficult to upgrade the character gradually, because the items are too expensive, and the coins earned in a stage is too few. In a stage, I can only earn around 5,000 plus. I don’t play with the difficult level, because need more time to fight and might lose the fight. Then to earn 30,000 to buy an item, needs to play a stage 6 times. It will be very boring at the end. So, hack it. I tried to disassemble the file, but failed to hack it. So, search through the internet, still can solve my problem. The rating I give it is 5/5. Mega Jump, though the character is not cute, and actually quite ugly, the gameplay is quite addicting. The jumping feature is very enjoying and stress relieving. Because the character is boosting as high as possible. And the sound effect is also delighting. Another addicting factor is the collection of MP (Mega Points). These points can be used to unlock new characters, upgrading the power items, and wallpapers. Collecting these points isn’t difficult, just get 100 coins in a gameplay, you will get 10 MPs. However, if you are feeling wasting time to collecting the MP, there are several ways 1) buy it or 2) hack it. To hack it, only if your Android phone is rooted, then just edit the /data/data/com.getsetgames.megajump/shared_prefs/GSGPrefs.xml. but then, by putting all these snack cart… you know the end result? I am a Flight Tycoon!